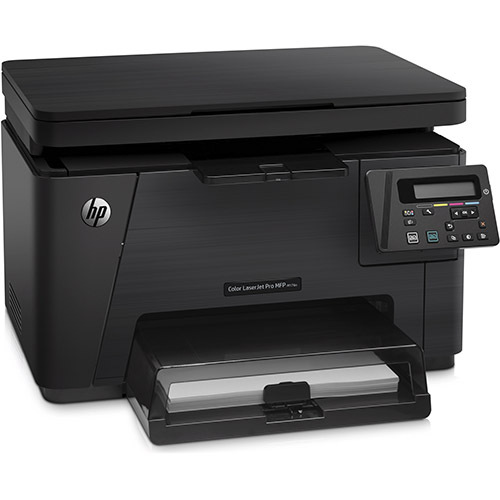 Struggling to find affordable HP Color LaserJet Pro MFP M176n toner? Well look no further! We offer a full range of remanufactured toner cartridges that perfectly match the color capabilities, consistent legibility, and product performance specs of original equipment manufacturer (OEM) products. You’ll get all the features that you love about OEM HP toner cartridges, including the page yield: up to 1,300 pages in black and 1,000 pages in color. Our cartridges also serve up the same breathtaking print quality, all while slashing your printing costs in half! If you need more toner or better savings, we also offer our remanufactured toner in a convenient four-pack! You’ll get one cartridge in each color: black, yellow, cyan, and magenta. Paying for quality toner doesn’t have to mean spending exorbitant amounts of money. We specialize in offering dependable products that have been thoroughly tested after being reengineered in American factories. Try our remanufactured HP 130A toner today and see for yourself how 1ink.com can help you get better print work AND a balanced budget!